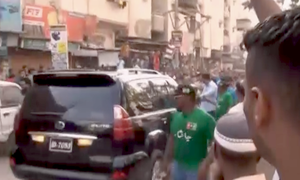 PPP workers to work for success of PML-N candidate. Villagers claim they don't have access to a "single drop of water". 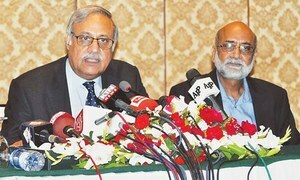 Experts urge media persons to ensure transparency and impartiality of the public and private institutions in elections. 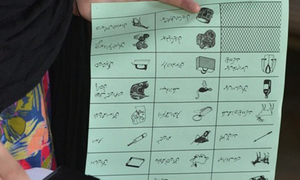 Of total 51 National Assembly seats, the party has awarded tickets to 42 candidates. 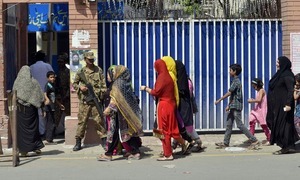 Separate booths for men and women have been set up in the combined polling stations. Aspiring candidates for non-Muslims and women's seats can't run independently. 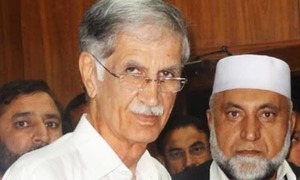 About 110,000 persons have benefited from Sehat Sahulat Programme so far. 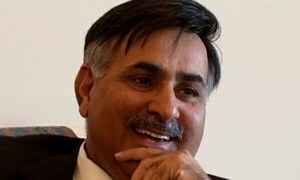 PML-Q leader expresses hope that PTI would manage to form the next government. 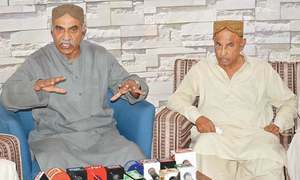 After being expelled from PTI at the 11th hour, Sardar Ghulam Abbas eyes LHC’s verdict about his appeal. Abbasi says the caretakers have taken only cosmetic measures. PPP-P information secretary Maula Bux Chandio called upon state institutions to take notice of laxity in security. 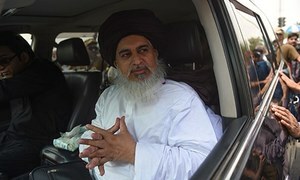 “We are quite confident that that all those who believe in Khatm-i-Nabuwat would side with us," says Khadim Rizvi. 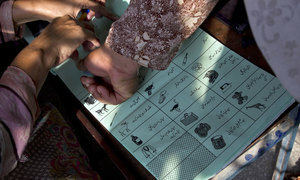 Candidates from PTI, MMA, APML and other parties are in the run for NA-1 and PK-1. 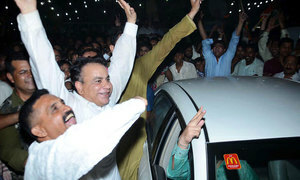 It will be a tough contest between the area’s usual ‘electables’, particularly the candidates of the BNP-M and BAP. 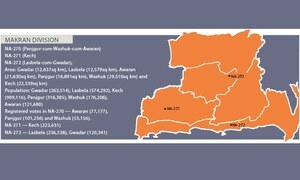 CANDIDATE PROFILE: Dir overcomes the women-disenfranchisement déjà vu? 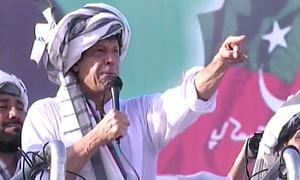 Says PTI will break status quo and empower people to make decisions about their destiny. The party claims that job opportunities would be ensured for the skilled labour in other countries. 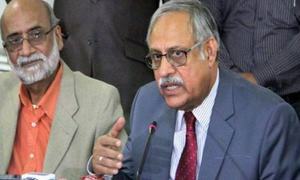 ECP secretary says ballot papers will be sent to some far-flung areas of KP and Balochistan by air. 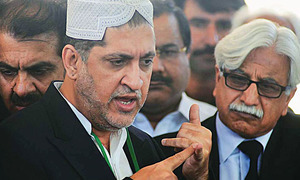 Bhootani says if elected he would become voice of the downtrodden people of Gwadar. 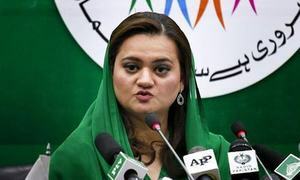 Marriyum Aurangzeb says only those parties boycotted elections which did not have any performance to their credit. 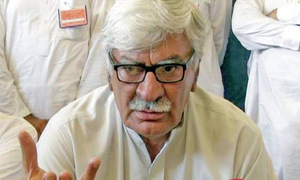 Asfandyar alleges that the caretaker govt is running election campaign as ‘B team’ of a particular political party. 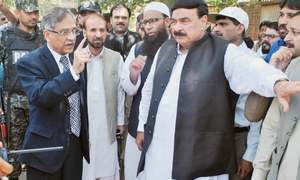 Justice Nisar says he is running nobody’s campaign; NAB chairman refutes allegations of pre-poll rigging. Election body urges authorities to take "immediate corrective measures" to stop "harassment" of candidates. In upcoming election biradaris are going to appear much more capable of deciding a vote. 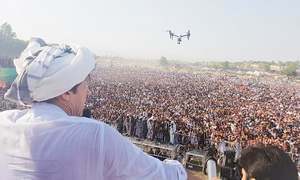 Urges the crowds to demand answers from both Durrani and Fazl when they are approached for votes. 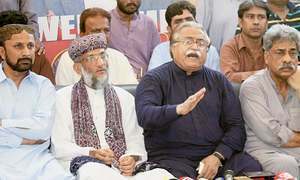 PPP leaders say the protesters were "planted" and sent by political opponents to disrupt the rally. 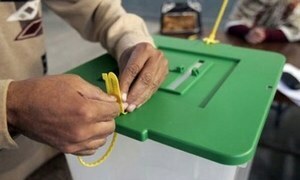 Printing of 'most expensive ballot papers' in Pakistan's history begins on schedule. 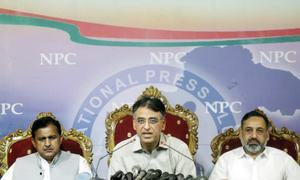 Nisar says Sharif had not been loyal to him even though he worked hard for him for 34 years.